The Land Council will host their 44th Annual Meeting at The Nantucket Hotel on August 7th, 2018 at 5pm. As always, all NLC members are encouraged to attend and the general public is welcomed free of charge. NLC welcomes Matthew Devine, a Marine Scientist Ph. D. student at UMass Amherst, as our speaker for this year’s meeting. 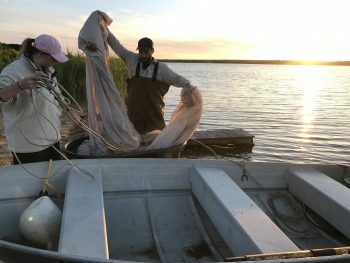 Matt will discuss his research of anadromous river herring populations in coastal New England, outline results from his recent surveys in Nantucket’s unique pond systems, and discuss the implications of this research. The NLC Annual Meeting will be held on Tuesday, August 7 at 5:00pm at the Nantucket Hotel Ballroom. This event is open to the public, and all are welcome. A cocktail hour will follow. For more information, please call the office at 508-228-2818 or email nlc@nantucketlandcouncil.org.